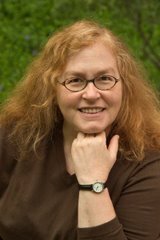 Eight years ago today, my mom died of pancreatic cancer. It’s an especially poignant day this year, since May 10 falls on Mother’s Day. My mom’s favorite color was blue, so this is my annual tribute to her: blue containers and other organizing-related products. 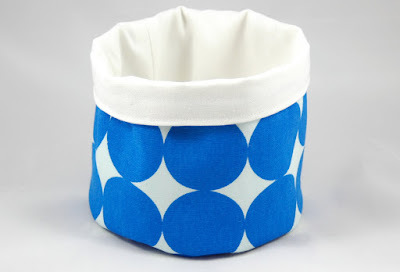 Let’s start with this small fabric bucket, which comes from Nik J Designs. 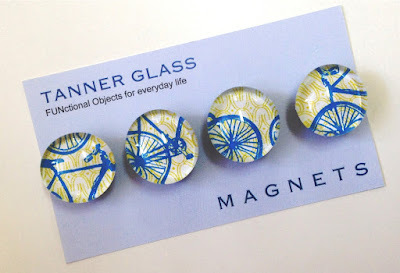 These glass magnets come from Tanner Glass. These caught my eye because I remember Mom insisting I learn to ride a bike — but I was never very good at it. Greg Stefan Studios has a wide variety of small glass trays. 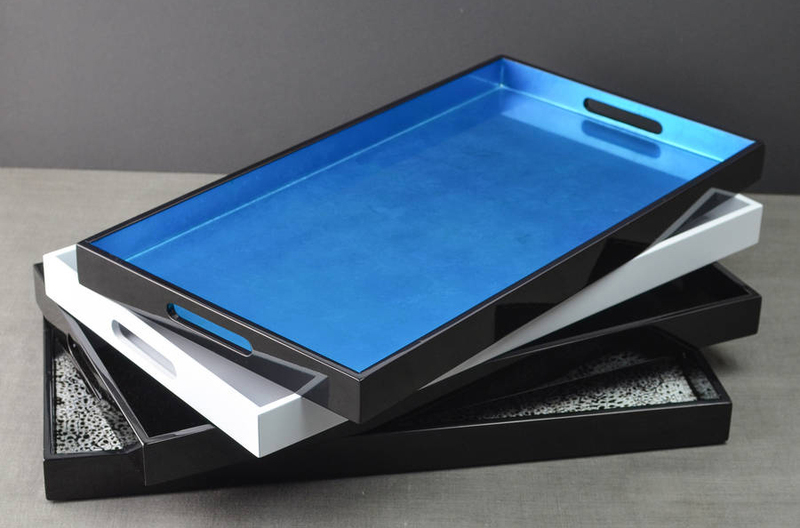 Nom Living provides lacquer trays in a range of shapes, sizes and colors. Finally, Mom would probably have liked the Evolution Photograph Bookend from David Linley, as long as she didn’t see the price tag. 2. 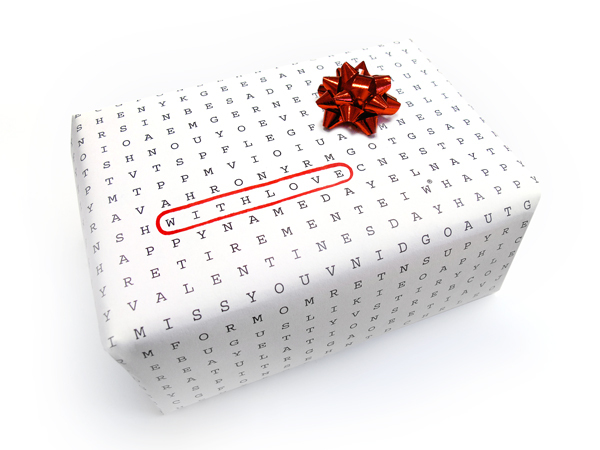 The gift wrapping enthusiast, who enjoys creating beautifully wrapped gifts and collects papers, ribbons, etc. For those who fall into this second category, there are some interesting gift wrap organizers to help manage the collection. It’s no use having a bunch of lovely things if you can’t find them when you want them! 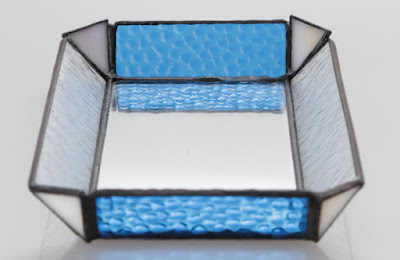 Wrap iT is a very complete solution which is also easy to use. 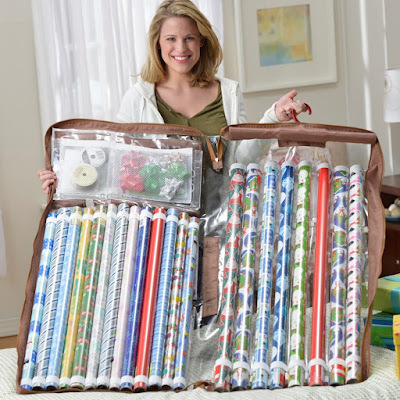 This is the Wrap iT Deluxe, which accommodates both 30-inch and 40-inch tall gift wrapping rolls. As you can see, it also has places for ribbon and bows; there are pockets on the outside to store gift bags, tissue paper, etc. 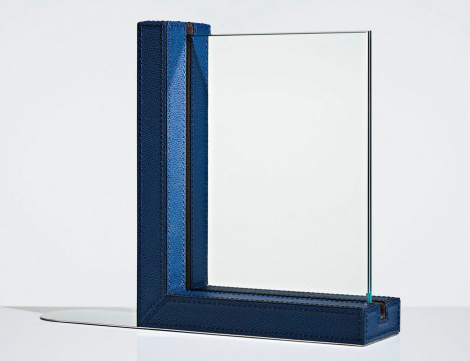 The company also has less bulky options for those who don't need quite as much storage. The original Wrap iT only handles 30-inch rolls. And the Wrappy (available in original and deluxe versions) is a non-zippered option which holds fewer rolls. All of these products can either hang in a closet or slide under a bed. 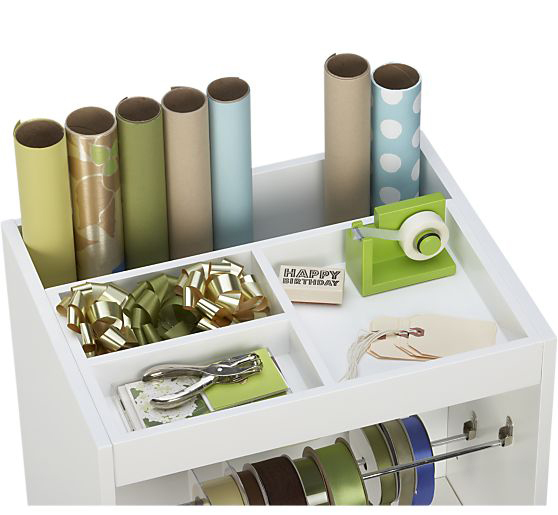 The Gift Wrap Caddy can stand up while it’s being used, which is a nice feature. When collapsed, it can be hung in the closet or stored under the bed. However, the items are not fully enclosed, so dust and curious babies/pets (for under-bed storage) could be an issue. And any 40-inch rolls are going to stick up over the top, which might make it difficult to hang. 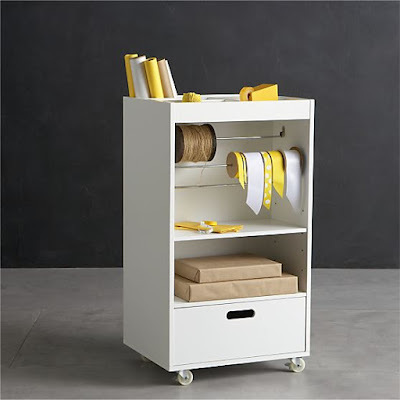 Crate and Barrel has a rolling wrapping cart which could work nicely for those with the room for it. The deep back bin holds the paper, and there are places for almost anything else you'd need, including a shelf where you could place the wrapped packages. And then there’s Elfa. 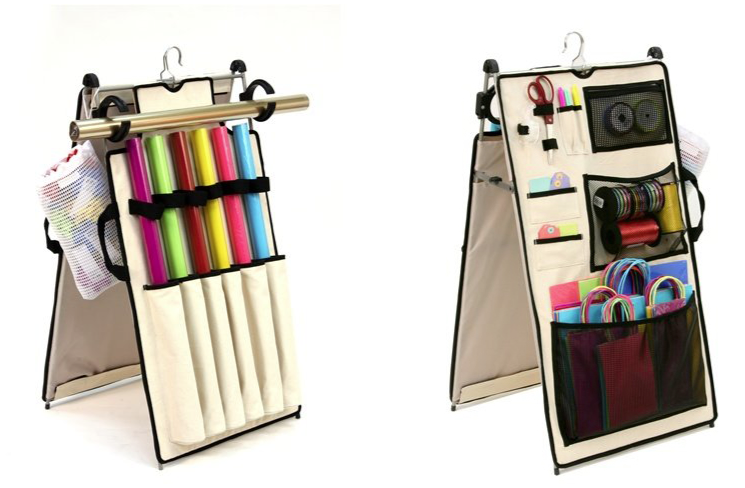 You could get just the door/wall organizer, or go all out and create an entire gift wrap closet. While the closet would only work for those with lots of space to dedicate to gift wrap, the door/wall organizer would work for those of us in smaller homes who still have free door space. But it does have the drawback of not being mobile. Finally, if you’re using any gift wrap storage product that doesn't have loops to keep partially-used rolls from unwrapping (as both the Wrap iT and the Gift Wrap Caddy both do), you may be interested in the Neat Roll.